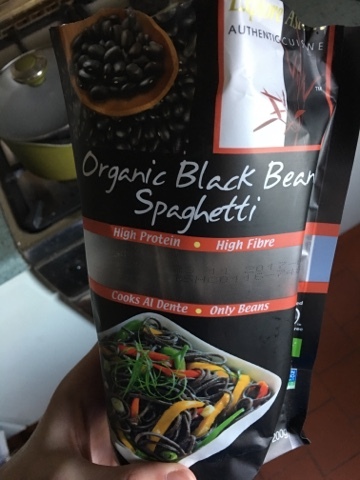 The final protein pasta in the range from Holland & Barrett is the black spaghetti. I always dread black food as it usually contains something like squid ink that I'd not want to eat. This is just squashed black beans, it should be fine right? In the pot it goes, looking disturbingly like the seaweed, but with a faint beany smell. It cooks pretty well and loses a little of the scary colour in the process. 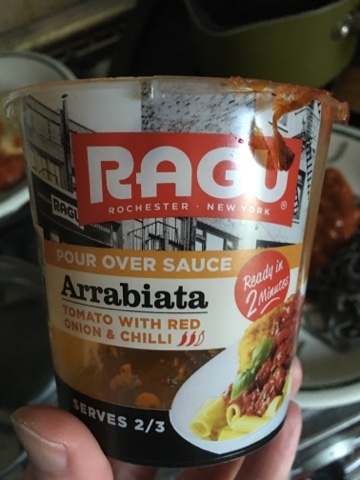 Here we see it paired up with some Ragu Arrabiata spicy sauce. This is a pot that you put in the microwave for a minute or two (depending on how far you make the pot go) and add to the dinner to make it have a spicy kick. With the nacho burger (veggie) then this makes a decent meal and has extra protein and nutrients compared to the regular version. 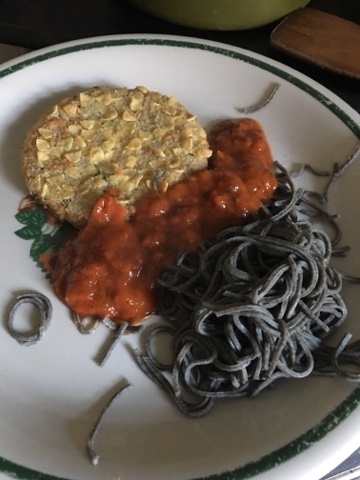 The protein pasta doesn't taste all that different to the mung bean flavour that we reviewed before. 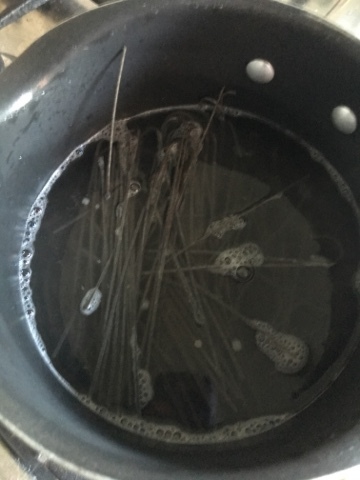 I think I need to take greater care over the time I cook them for to make sure they don't go too soft, but we both enjoyed the whole meal and could have had more. I hope that these bean pastas cross over into the mainstream and that they become a touch cheaper and more available. As it stands I have no qualms in making the special trip and paying a little extra to have this a couple of times a week.